After years of travelling to the country, I've distilled down the highlights of Japan like a chilled glass of shochu on the rocks. Whether it's your first time, or your 14th, welcome to one of the most fascinating places on earth. Slender and volcanic, the archipelago of Japan reaches from the tropics of Okinawa to Yokote in the north where locals construct igloos with ease. What does this mean for the traveller? That even though Japan is ridiculously well connected by air and train, there's too much to see in one visit. 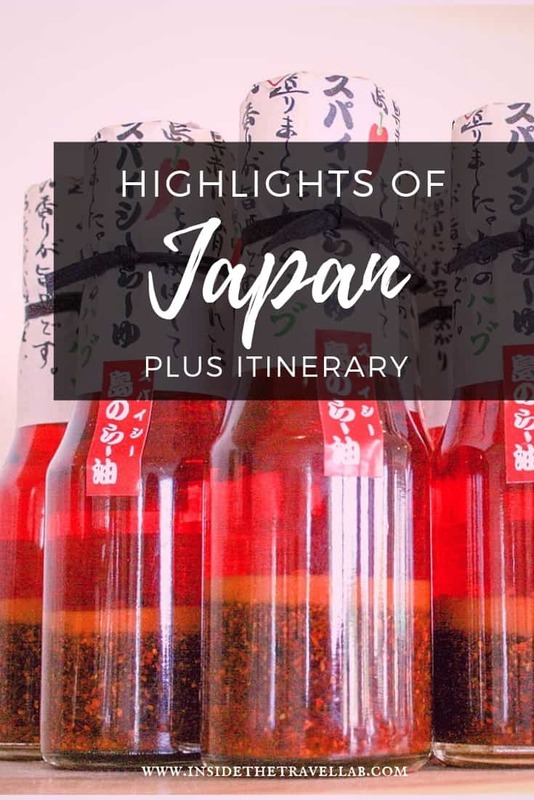 Here are the highlights of Japan, in terms of geography and flavour. And what can I say? You'll just have to visit more than once! The food in Okinawa claims to be the secret to a long and healthy life. The island inhabitants have the longest life expectancy in the world, so perhaps they're on to something? Britain embraces tepid, with its showers, baths, beer and coffee all a wimpy kind of lukewarm. This has never felt right. In Japan, I was overjoyed to discover that steaming, scalding, almost boiling water forms part of the daily cleansing ritual. From natural outdoor springs to ramshackle hotels with plastic buckets, everyone strips off, scrubs down and soaks. A word of warning, though, gaijin travellers: by strip off, they mean naked. If time permits, explore the unusual Ibusuki Black Sand bath in Kyushu. Sleek, fast, reliable trains that whisk you across the country in one easy and efficient swoop. Those volcanic onsen aren't just for people, you know. The Jigokudani Yaenkoen have their very own monkey bathers as well. You can visit the monkeys as one of several fascinating day trips from Tokyo. More than just a government capital, Tokyo is one of the greatest cities in the world. At first glance, she simply storms around in chrome and glass but in her secluded corners, you can rediscover the Japan of the past and understand a little more about the present. As Japan's former capital, Kyoto has more temples than you'll have grains of rice. This is the city where geisha still roam and cherry blossom falls softly over sloping rooftops that lead to the past. Kyoto itself is a curious mix of the old and the new. Skyscrapers hustle at you the moment you leave the station, whereas the taxis have heart shaped lights. But it’s the old part of Kyoto where you’re most likely to see that elusive Japanese legend, the geisha. Ripe with glowing lanterns and bamboo-walled bars that ooze with atmosphere, Kyoto’s Old Town deserves pride of place on your itinerary. For me, though, there was something incredibly refreshing and healing about visiting this city. The world may associate Hiroshima with hell on earth, hot metal and twisted lives and limbs but Hiroshima today is a sunny, vibrant city. One with a memory, of course, but also a vast memorial dedicated to peace. Despite the photos of cherry blossom and clear blue skies, Fuji-San sulks beneath clouds for most of the year. If you have the stamina, you can climb Mount Fuji yourself without any mountain climbing skills. Up and back within a single, if exhausting, day from Tokyo. Who knows why, exactly, the thought of ski-ing in Japan surprised me, but it did. Those same snowy slopes blossom by summertime to provide lush green hiking grounds. Look one way and the peaks and pine forests could be the Alps. So what did you think? 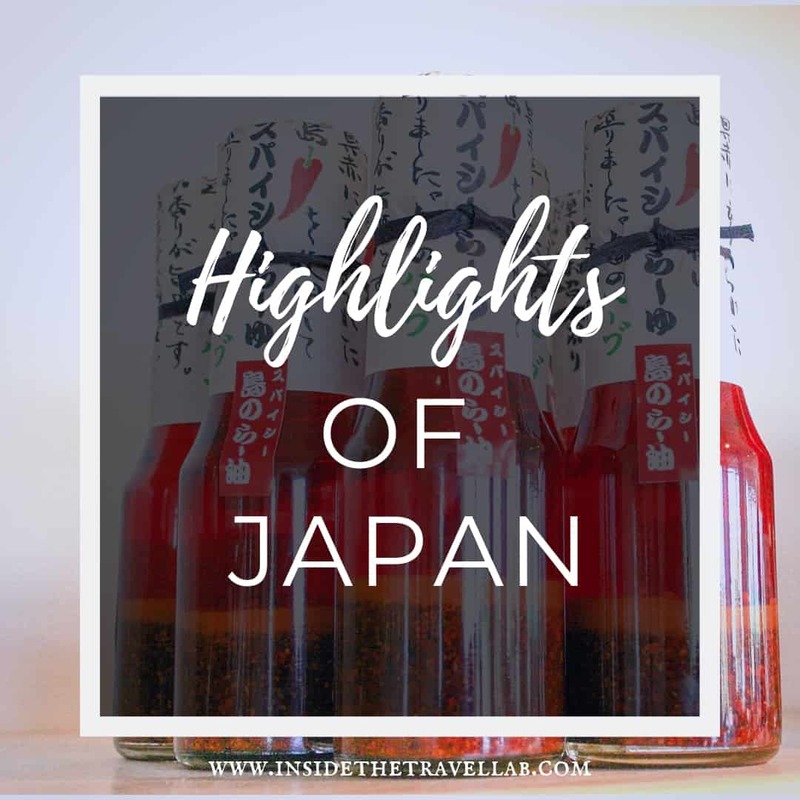 Any other highlights of Japan you'd like to suggest? Yep, you need to take it very, very easy with wasabi! Thanks. I’m heading back there this week so hopefully I cam find even more!